Commercial & Industrial Vehicles | Saft Batteries | We energize the world. 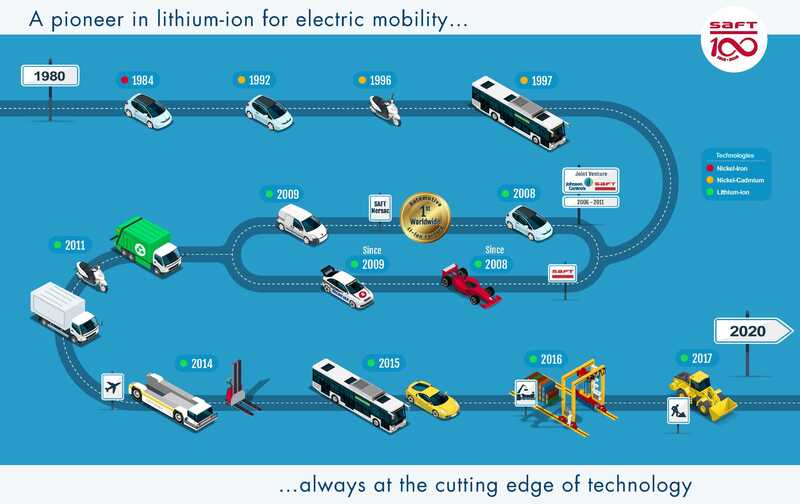 Saft has been designing and delivering different electro-chemical battery solutions for hybrid and electric vehicles for more than 20 years, helping to cut CO₂ emissions, meet regulatory targets, limit fuel consumption and improve transport’s environmental footprint. A breakthrough in lithium-ion solutions has led to huge improvements in power and energy, making lithium-ion the technology of choice for today’s electric vehicles. Our focus is on efficiency and sustainability to reduce vehicle-running costs over the whole service life.